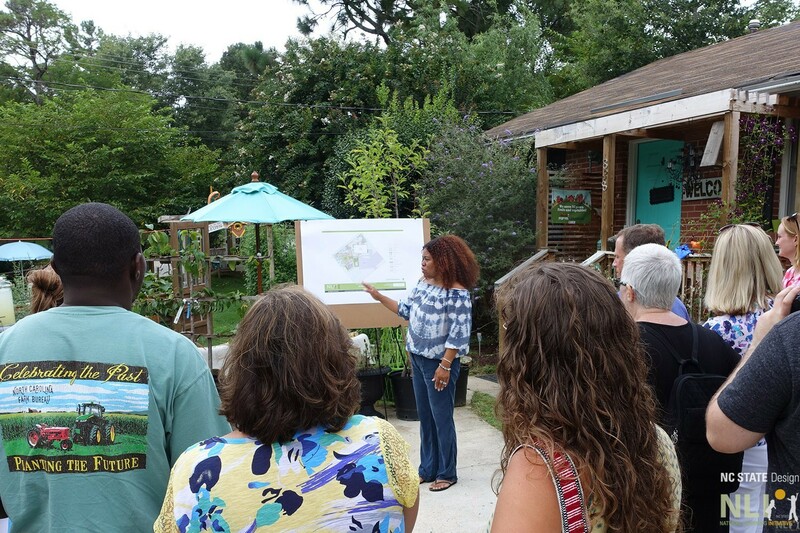 The POD Wake County Gathering and Tour presented a showcase of the progress in creating naturalized childcare center Outdoor Learning Environments (OLEs) in Wake County. 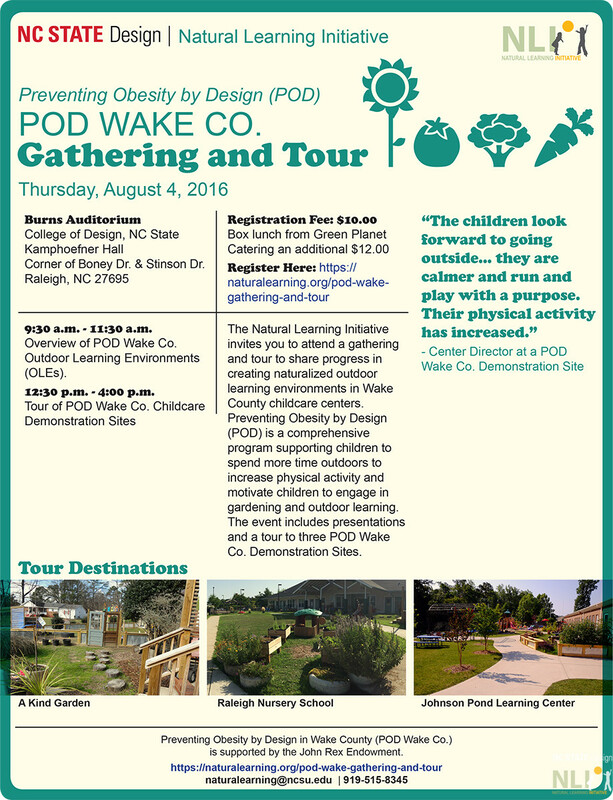 Presentations and bus tours to the POD Wake Co demonstration OLEs show how the Preventing Obesity by Design program supports children’s outdoor activity and engages children in gardening, healthy eating, and outdoor learning. This year locations included Johnson Pond Learning Center, A Kind Garden, and Raleigh Nursery School.